The Daily Do-Over: So, who wants to have a little adventure? I'm still laughing as I write this. I won a Bible study from Lifeway! That in itself isn't funny, but pretty darn awesome. What IS funny is that it's the SECOND Bible study I've won from Lifeway. The first one was Beth Moore's Esther study that I won a few years ago on her ministry blog (carried by Lifeway). Anyway, whenever it arrives I can set a start date. It's a seven week study called "When Wallflowers Dance" by Angela Thomas. 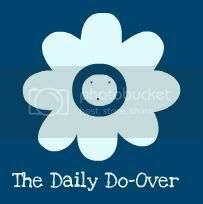 I will "moderate" it here at The Daily Do-Over, and I can't wait for you guys to join me!! "When we were two, we were no longer babies-we were becoming little girls. And when we were thirteen, we were leaving childhood behind, becoming young women. But somewhere along the way, we stopped becoming. We became "un-women." Wallflowers who are just breathing and smiling and blending in to stay out of the way. That is not what God had in mind when He created us. He wants us to keep becoming. He wants us to become strong, decisive, wise, creative, passionate, courageous-all the things we've dreamed of becoming. When Wallflowers Dance is a fresh challenge to women who have lived hesitant, cautious lives but long to break free and dance! Using both Scripture and story, Angela Thomas addresses the attributes of "becoming" and the freedom we have in Christ to keep developing the characteristics that reflect our God-given longings." Whew! Doesn't that sound amazing? I'm excited already!